NEW YORK (WABC) -- Giants fans are angry, and they should be. They want head coach, Ben McAdoo fired now. After all, how could this proud franchise be 1-8 after losing to a previously winless San Francisco team? The answers are right there. Poor personnel decisions, poor coaching, injuries to key players and poor play by the team's best players. The final outcome is obvious, McAdoo and G.M. Jerry Reese have to be let go at the end of the season. The Mara/Tisch ownership group is smart not to make a change right now. Why, you ask? I ask you what a change accomplish? This is a lost season, the Giants are actually better losing as many games as possible and getting a higher draft pick. If they pick in the top 3 they can get their franchise quarterback for the future. The worst thing thy can do now is win 3 or 4 of their final games. Who would the Giants even bring in now to replace McAdoo? 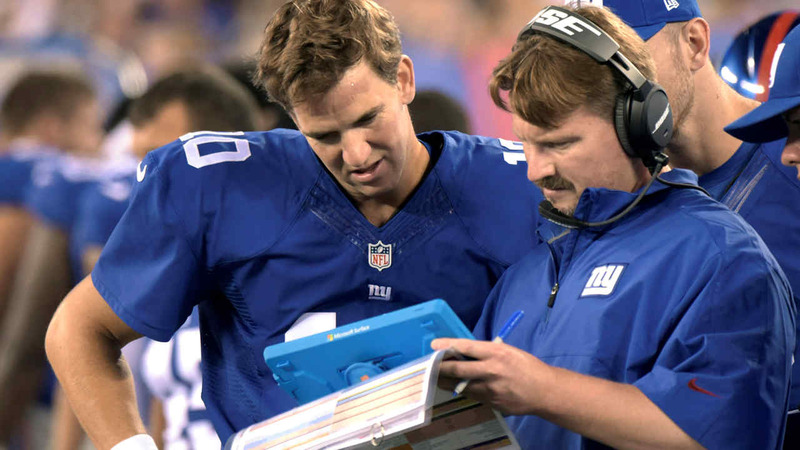 Defensive guru Steve Spagnuolo? He's the same coach whose defense had been ripped apart all season. So the Giants are best to sit pat, finish out the season, take the hit from the fan base, but then get a top draft pick. It's time to look ahead they'll get OBJ back for next season, and they need rebound seasons from many of their stars. But most of all sometime in January, ownership needs to dump Jerry Reese and Ben McAdoo and start over.